Edamame are immature soybeans, sometimes referred to as "vegetable soybeans." Oligosaccharides are the potential FODMAP in soybeans, but some soy products have more oligosaccharides than others. Unlike mature soybeans, edamame are suitable for low-FODMAP diets in small to moderate portions. You can serve IBS-friendly edamame in the pods as an appetizer, shelled and served as a side dish, or pureed, as in this delectable dish! 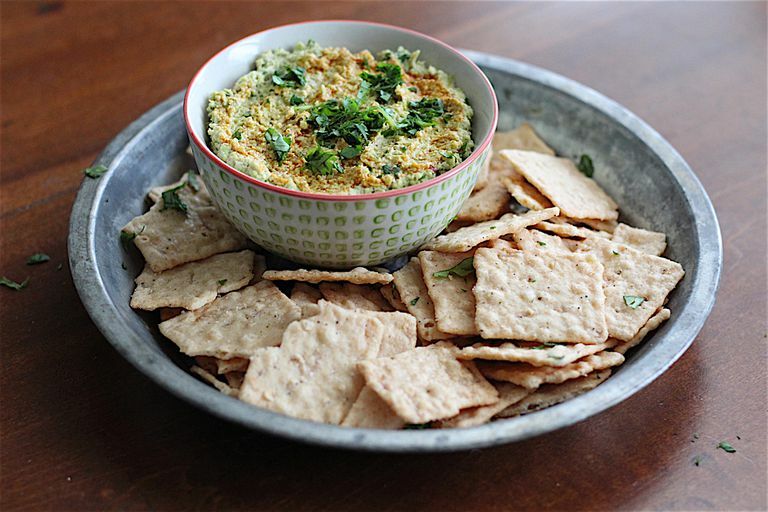 This spread, which is seasoned much like a hummus recipe, can be served with carrot sticks or homemade crackers or spread on your favorite sandwich. In a medium saucepan, bring one quart of water to a boil over high heat. Add the frozen edamame and bring the pot back to a boil. Reduce the heat and simmer for 5 minutes. Drain the edamame and allow it to cool until it is safe to handle. In a blender or food processor, combine the edamame, lemon juice, water, peanut butter, garlic-infused oil, cumin, salt, sesame oil, and red pepper flakes. Grind at a low speed, then process on high until the desired degree of smoothness is reached. Stir in cilantro. Cover and chill before serving. Drizzle with additional sesame oil and garnish with cilantro, if desired. Spicy sesame oil can be used instead of regular (toasted) sesame oil if you enjoy the extra heat. If you prefer, you can cook the edamame for just three minutes, instead of five. The dip will taste a little more like raw vegetables, and the texture will be pleasantly chunky.